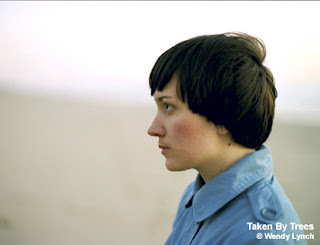 Victoria Bergsman, originally of The Concretes, split off in 2007 to follow her own muse and called it Taken By Trees. Looking to do something completely different, she took off to Pakistan with a sound engineer and, despite some difficulties, came up with a very nice album called East Of Eden, which marries many different sounds. She first came to my attention with her wonderful cover of Guns'n'Roses(!) Sweet Child O' Mine. There are a number of dynamite songs on East Of Eden too. Why, I even saw her in concert (with the incomparable El Perro Del Mar - oh no, another missing Swedish artist! ).